A sizeable chunk of gameplay from the level shown at E3 2016. 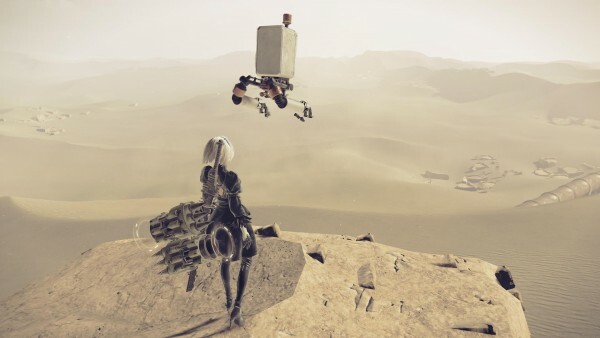 After watching the E3 gameplay trailer and seeing boss fight footage from Nier: Automata, there’s more than one reason to get excited for Platinum’s latest. More footage of the desert environment was also released at E3 during a livestream. The stream featured commentary from director Taro Yoko, who said that you’ll only be controlling one character at a time for the majority of the game. There’s also a look at some of the enemy designs, including how some characters will have the grinning face icon from the original game in different places. You can watch the footage below, courtesy of YouTube channel Arnots HD Gaming. Nier: Automata is out next year.